Death Bubba is an indica dominant hybrid (70% indica/30% sativa) strain bred as a descendant of the classic Bubba Kush strain. Extracted with high grade butane, this concentrate exhibits a mouthwatering terpene profile of sweet pine and pungent earthy aromas, finishing with a spicy lemon flavor upon exhale. You’ll only need a small piece of this rich, tasty extract to sink down into a deep state of relaxation. Strain: Death Bubba Live Resin is made from an indica dominant hybrid (70% indica/30% sativa) strain created as a descendant of the hugely popular Bubba Kush strain. 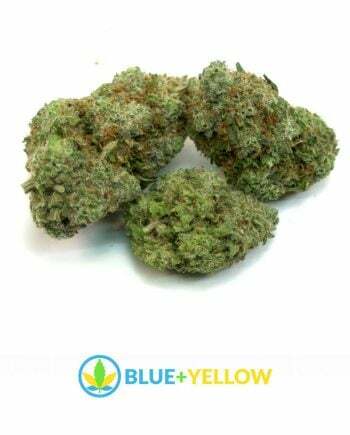 This dank bud boasts an insanely high THC level that ranges between 25-27% and effects that can end in an almost death-like sleep. Almost immediately after smoking, you’ll feel a wave of rushing focused energy wash over you that leaves you uplifted and motivated with tendencies towards having psychoactive experiences. As the high continues, you’ll be eased into a state of utter relaxation with deep introspection and spaciness that can cause you to become distant in social situations. Upon the comedown from the high, Death Bubba pulls you into a deep and peaceful undisturbed sleep that lasts for hours on end, giving you the appearance of being unwakeable. Death Bubba has an aroma of musky earthy pine and a taste of spicy lemon pine with a hint of pungent earth upon exhale. Live Resin: Live-resin extractions are concentrates made from entire plants that are cryogenically frozen soon after harvesting. Curing is the process of slowly drying out a bud to preserve as many of the oils, cannabinoids and terpenes (the things that give bud flavor) as possible. But a lot gets lost during curing. The freezing process preserves more of the oils and terpenes that are present in the plant when it is alive and allows for them to be extracted into the finished product. When done right, this results in the most full-flavored, complex concentrates around.